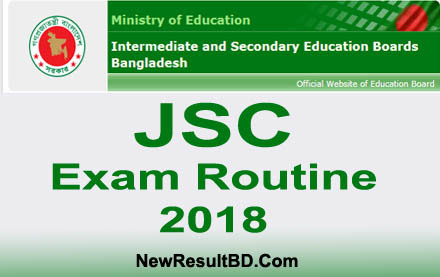 JSC Routine 2018 and JDC Routine 2018 has been published. 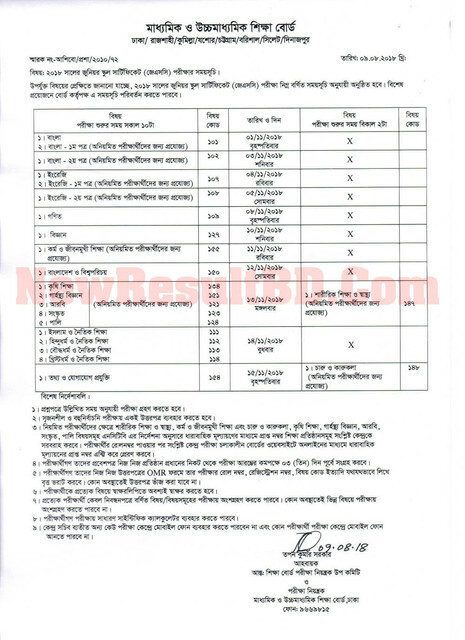 Bangladesh education board has published the routine alongside a notine on their official website. We shared the notice and other information including JSC exam routine, JSC exam timetable, JSC exam schedule for JSC exam 2018. Here JSC routine available for all education board as Dhaka, Rajshahi, Comilla, Jessore, Chittagong, Barishal, Sylhet, Dinajpur and Madrasah board. According to the notice JSC exam will be start from 1st november with Bangla in this year. All the theory exam will start from 10 am and practical from 2pm. There are some major changes in the JSC exam’s syllabus this year than the previous exam. Two paper of subject Bangla has been merged and only one exam will be taken instead of two paper wise single exam named Bangla. This method will be also applied for the English exam. One this to remember that this method is only for regular candidates. Previous method will be applied for irregular students. The regular subjects are Bangla, English, Science, Mathematics, Bangladesh and Global Identity, ICT, Religion. Irregular students need to attend some of extra subjects according to their previous syllabus which mentioned in the routine. Most of JSC exam candidates are confused about new exam syllabus and preparation. This why we are working for make some guidelines and article on JSC suggestion 2018. If you follow the suggestion you can get up to 100% common in the JSC exam. Click here to Get Best Suggestion for all subjects of JSC exam 2018. Soon we’ll published all suggestions link with subject table in the routine. Keep visiting and share this post with your friends for their best help. Join Our Exam Preparation BD Facebook Group For All Examination Preparation.